Garden City, New York, USA. March 9, 2019. 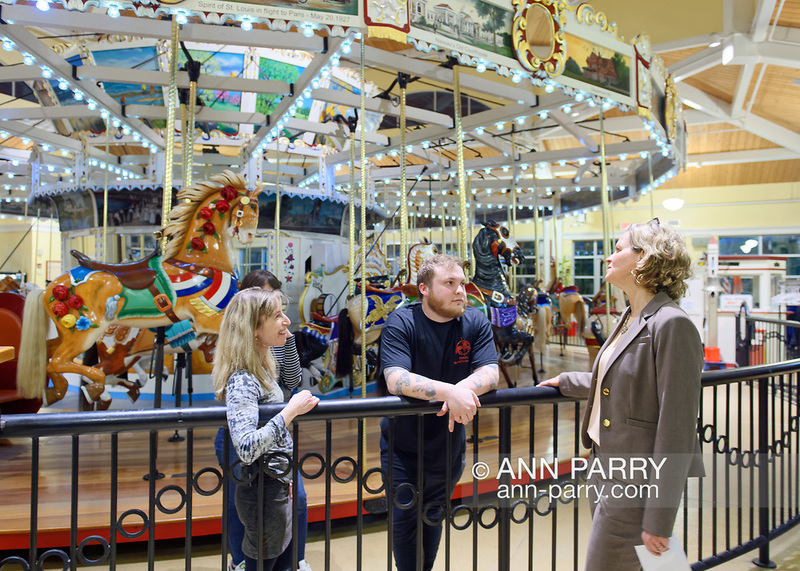 L-R, Carousel operators BETH ORBERG and her son ANDREW OBERGH and Nassau County Executive LAURA CURRAN talk at railing around Nunley's Carousel, during Unveiling Ceremony of mural of a Nunley's Carousel horse. The Obergh family runs the carousel, and raised $85,000 for "Pennies for Ponies" campaign to help restore the horses. Event was held at historic Nunley's Carousel in its Pavilion on Museum Row on Long Island.